The WIT Vikings Camogie team have qualifed for the Ashbourne Cup Semi Final 2019. The Ashbourne Cup is a prestigious competition which is held in very high regard amongst the third level community and beyond. 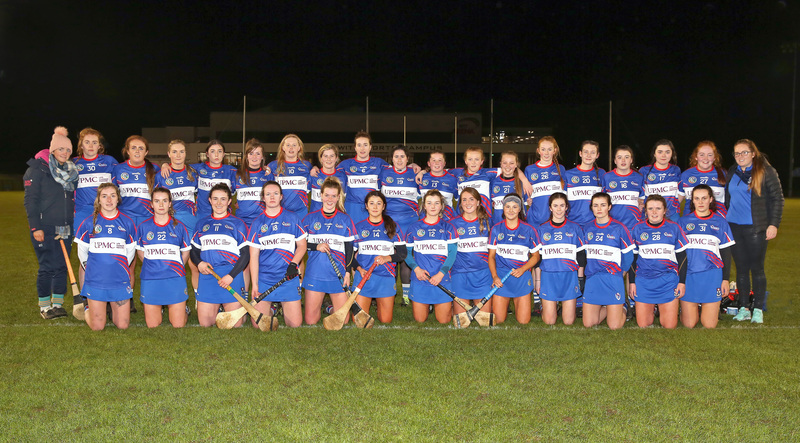 "The Camogie club here in WIT is one of the most triumphant College clubs within the competition in recent times, earning 8 Ashbourne Cups, including a famous five-in-a-row from 2009-2013 with the most recent victory being claimed in 2015," explains Katie Redmond, GAA Development Officer. This year's finals weekend will take place in Mallow GAA Complex in Cork. Semi-finals will be held on Saturday 9th February with the Finals on Sunday 10th February. Having won the Quarter Final on Thursday last 31st January, the WIT girls now look forward to a Semi- Final meeting with UCC on Saturday at 2.45pm. The other Semi-Final sees UL face DCU at 12.45pm. "To date our girls have showed great determination and commitment, having won the Division 1 League against UL in November of this year at the WIT Arena along with winning the Fresher A Blitz back in September," adds Redmond. "The WIT Vikings GAA Club and all at WIT Vikings Sport and WIT would like to wish the WIT Camogie Panel, Manager Tommy Shefflin along with his background team of Shane Dunphy, Jacqui O Connor and Ryan Murray the very best of luck this weekend. We would also like to thank our sponsors UPMC Whitfield for their continued support. Last year UPMC announced its sponsorship of the WIT GAA club until August 2021. As the main sponsor for the WIT Vikings GAA Club, UPMC has exclusive branding rights for all college teams’ gear under the umbrella of the WIT Vikings GAA Club, including hurling, men’s and ladies football, camogie and handball.